The hyper-connected digital age has permanently changed how brands need to communicate with consumers. Marketing has grown up, with traditional broadcast sales and advertising methods giving way to a new permission-based model of marketing built on trust and reciprocation. The web has provided everyone with the ability to communicate more, to greater numbers of people, at an unprecedented frequency. In theory, this is every marketer’s dream. Yet in reality, it’s every brand’s greatest obstacle to being heard. Reports such as this one from Aimia Institute showing that 57 per cent of consumers actively take steps to avoid incessant online messages received from brands, are a sobering reflection of how noisy and overwhelming the digitally-connected world is. 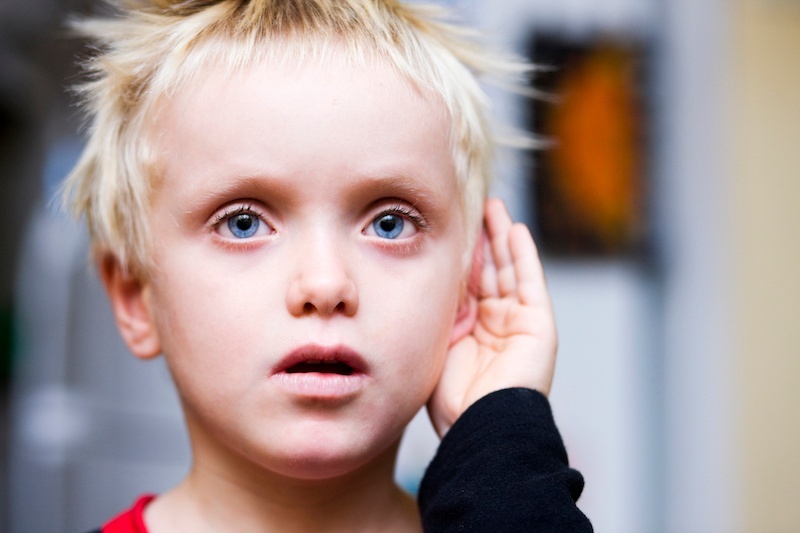 Basically, the net result of anyone and everyone having access to a virtual microphone and printing press (websites, blogs, social media accounts) hasn’t been the amplification of brand influence over consumers — mostly, quite the opposite, with savvy would-be customers responding with ever-more responsive means of filtering and shutting out the noise. In other words, the internet has levelled the balance of power between consumers and brands. Modern consumers are saying to brands: I’m busy, don’t interrupt, don’t knock on my door unless I invite you to; if we engage, it’ll be on my terms, not yours. Today, brands need to listen and respond. They need to engage with and leverage their wider networks in order to deliver targeted, quality (rather than quantity) driven customer acquisition and loyalty. Affiliate marketing describes the use of a third-party network who endorse or promote your product or service, in return for commission for every new customer they refer. Brands often run affiliate programmes at scale via an affiliate network, inviting interested third party publishers to register for their affiliate network in order to share links to their products at an agreed commission (can range from 1% up to 50% plus). Bloggers whose content has some kind of crossover or affinity with the niche market of a particular product, are typical participants in affiliate programmes. For example, a popular blog about personal fitness might consider becoming an affiliate for a health supplements product. Mentioning that product would resonate with the interests of its audience, whilst leading to potential new custom for the product. Done well, affiliate programmes provide a means for brands to match their products with the authentic needs of target customers in an “organic” way. And on the flipside, it’s a handy way for blog or website owners to monetise their traffic, without harming editorial integrity. Everybody wins. That said, the quality of customer you get from affiliate programmes can vary. Striking the right balance between quantity and quality of customer acquisition can be difficult with affiliate marketing, where it’s difficult to thoroughly vet and control the relevance of participating affiliate partners. Jamie Rademacher, Marketing Specialist from Rakuten commented: "Affiliate marketing is one of the best ways for influencers and content publishers to monetise and optimise their site based on reader engagement. By partnering with the right brands that cater to their audience, these publishers are able to earn commission while maintaining the integrity of their content." As the the label suggests, influencer marketing involves seeking out and leveraging the influence of relevant and well-known individuals in support of your product marketing efforts. Influencer marketing can play out in a few different ways. Generally speaking though, we’re talking about an individual with a significant online following — often a celebrity or eminent figure within their niche — agreeing to endorse your product or brand in some way. That could involve them explicitly endorsing your product in tweets, blog posts or YouTube videos. Or it could involve more subtle forms of promotion similar to traditional product placements tactics — for instance, Instagram pictures of an influencer regularly wearing a particular line of clothing or drinking a certain branded soft drink they’ve agreed to endorse. Whilst it’s difficult to place an exact ROI figure on the impact of influencer involvement (compared to say, affiliate marketing), the reach that one big-hitting figure can have can be huge for a brand’s visibility and awareness. The overall reach of one single celeb with a six-figure social media following extends far beyond just that one figure’s network — it can create a rapid ripple-effect among each of their follower’s networks too, leading to manifold lead generation and sales increases. However, as rapidly as influencer marketing has risen to become one of the hottest trends in digital marketing, it hasn’t taken long for a backlash to emerge. Following a few endorsement faux pas, questions over the authenticity of influencer marketing are being asked. With consumers today far more likely to see through — and be far less forgiving of — transparent attempts to leverage celebrity support, influencer marketing might not be all that it’s cracked up to be for brands interested in cultivating more meaningful and authentic means of leveraging their customer’s networks. Also known as word-of-mouth or refer-a-friend marketing, referral marketing is when a company’s existing customers share a brand with someone they know (i.e. a referral), generating fresh sales and repeat custom without the company having to explicitly give a “hard sell” to either party. Referral marketing programmes incentivise both customer referrer and referred new customer participation by offering an attractive reward — usually a discount on their next purchase. When a customer completes an order with a company, they are presented with an offer that encourages them to share the brand with someone they know, in exchange for a reward (usually a discount). The same or similar offer is also presented to the person they share with, incentivising both parties to sign up. For instance, a customer has just purchased a new item of clothing from an online store. The online store thanks them for their order and offers the customer a 20% discount off their next order in exchange for sharing the same offer with a friend. The customer accepts the offer, choosing to share the promotion with a close friend via email. Their friend has been thinking about updating their wardrobe for a while, so the offer is timely. They make an order online and claim the 20% discount — plus, the original referring customer receives their discount. And the company just turned one customer into two. Sharing preferred products and brands among social networks has long been considered the most straightforward yet immensely powerful form of marketing there is and will ever be — and basically, online referral marketing taps into that. It’s proven. For example, a Nielson consumer survey showed that among all the possible online and offline advertising techniques that exist today, “recommendations from people I know” was rated as the most trusted influence of their buying habits. And referral marketing doesn’t only provide a more reliable form of customer acquisition. It’s also proven to provide a better quality of customer, full-stop. A study carried out by Goethe University Frankfurt and the University of Pennsylvania showed that referred customers were both more profitable and loyal in the long-term than customers acquired by other means. 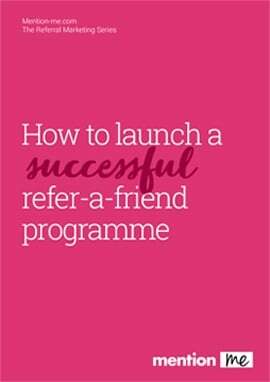 By their nature, refer-a-friend programmes can be a time-intensive endeavour. The results you achieve are only as good as the effort and planning you put in, with a well thought out and psychologically optimised referral offer making or breaking its impact on your sales. And depending on what you’re using to set up your referral campaigns, tracking that impact can also be complicated — although, of course, that’s where a dedicated tool such as Mention Me can really help. Whilst the digital age has completely completely transformed marketing in many ways, some things remain as reliable and consistent as ever. One of them is the power of word of mouth. Here at Mention Me, we’re big believers in the quality of customer acquisition and loyalty that refer-a-friend programmes deliver for brands. We’ve seen it for ourselves, and we’d encourage anyone who’s never tried it to give it a go and see what it can do for your business’s growth. Of course, referral sits in an ever-growing spectrum of modern marketing methods — including affiliate and influencer marketing — that are all about connecting and engaging with customers and their immediate network. It’s time to think beyond old-school sales and marketing. Authentic communication, engagement and relationship building with our customers and their networks, is the new marketing — and it’s here to stay.